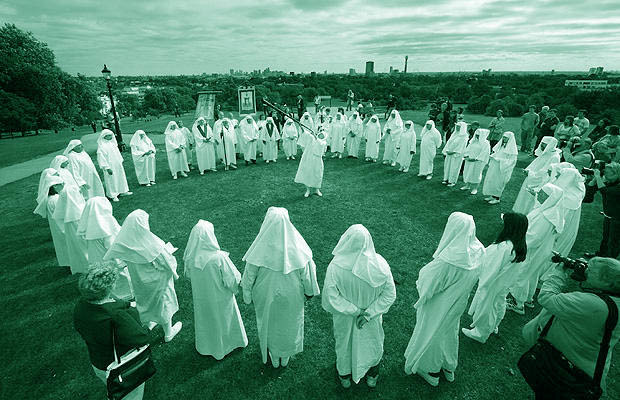 Most every religious group, as well as the more fringe Pagan and Magickal groups are cults or platforms for cult-like behavior. These behaviors are as manners taught; socially tolerable or acceptable behaviors, such as bending the knee in supplication to political or divine power. And that these two combine; even in American culture, set up political cults that even in larger measure are often referred to as political parties. or to have a good. person; body, soul & spirit. A. Human dignity is paramount. the next is a false promise. is an example of cultic behavior. have a way of benefitting you directly? B. Fear of ‘evel’ government. said to be enemies of the group. D. Fear of other groups.